Although concrete was once a popular option for pool surrounds, today vinyl pool decks are just as popular and much more beautiful. Whether for a new build or to revitalize an existing outdoor pool, adding a vinyl pool deck surface offers significant benefits. Tuff Industries has pulled together a few considerations to help you decide whether to install a vinyl pool deck. 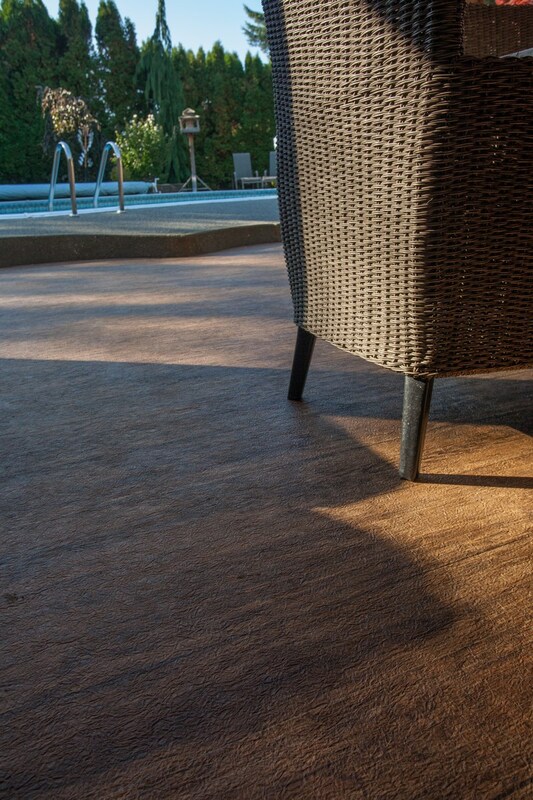 Available in a range of colours and patterns, vinyl decking can complement any type of pool, as well as the surrounding area. For example, you can choose a warm colour to contrast against the cool blues of pool water, or a cooler colour to blend in. Check out our guide to choosing the best vinyl deck colours for your pool surround. Installing a vinyl membrane over an existing pool deck is a quick and easy way to restore an older in-ground pool – increasing your property value and making your backyard experience more enjoyable for everyone. In just a few days you can have a new pool surround installed and ready for your family and friends to enjoy. If a house sale is in your near future a new vinyl deck surface around your pool can help to ensure a quick sale. If you are facing the need for a full pool deck replacement, selecting vinyl decking is a great choice to combine affordability with durability. Designed to meet exacting standards, Tufdek™ vinyl deck surfaces are rugged and guaranteed to stand up to the rigours of daily activity. Even if you have kids and pets, you can rest assured that your new vinyl pool deck will hold up over time. While concrete can be a popular choice for pool deck surrounds, it can also be a pain – literally. Concrete absorbs heat from the sun, making for a hot surface on the hottest summer days. 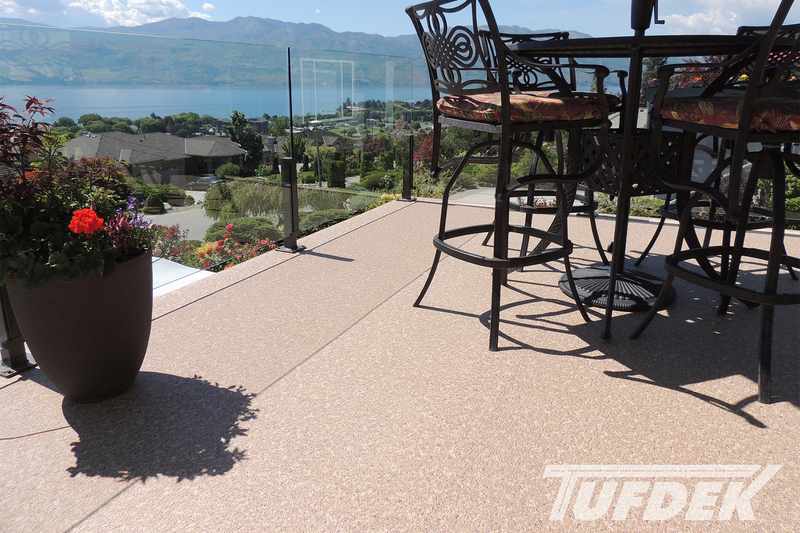 Tuff Industries offers vinyl deck surfaces that reflect the sun’s heat, to ensure that even on the hottest of days, your vinyl deck surface stays cool to the touch. If you’re tired of scrubbing a concrete pool surround to keep it clean and looking tidy, then vinyl decking might be just the ticket. Easy to clean, all you need is a broom and a hose a few times a year to keep it looking great. Choice, colour, cool to the touch, great-looking and affordable – why wouldn’t you consider installing a vinyl pool deck surface? 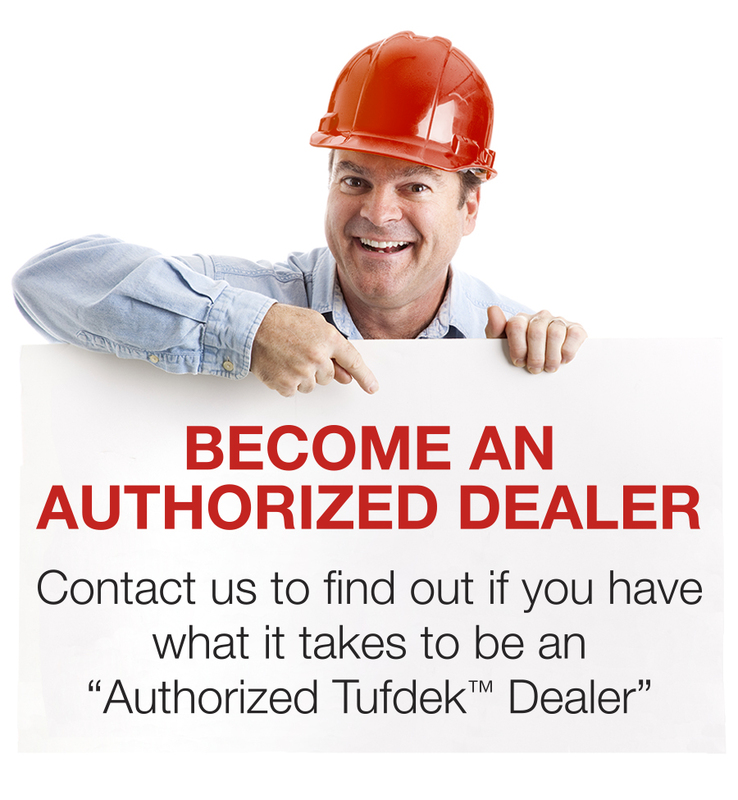 Talk to a Tufdek™ Dealer and find out how you can have a beautiful pool deck- it’s not too late to start planning!